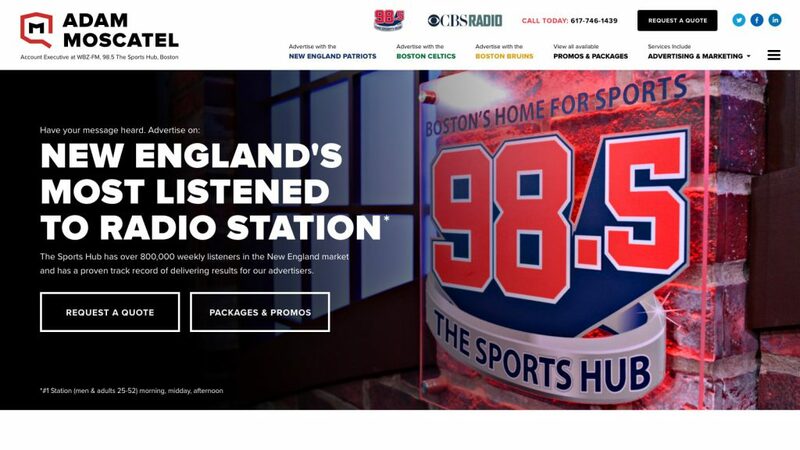 Boston's Home for Sports with 98.5 The Sports Hub. 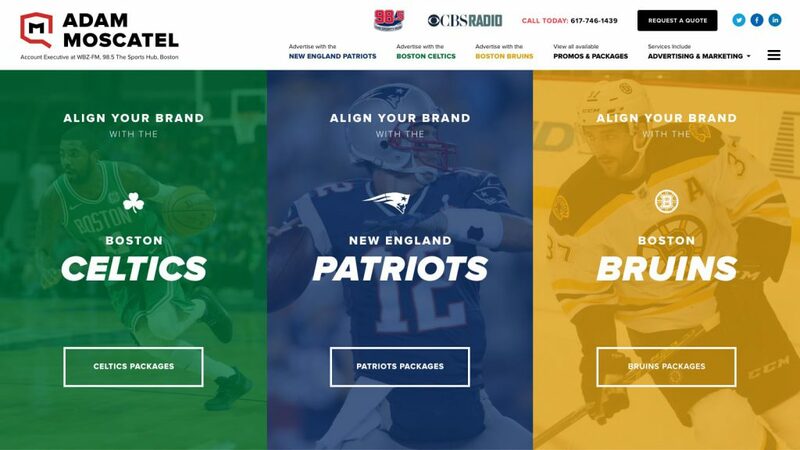 For nearly twenty years Adam has been helping companies in New England increase sales by making their company a recognized and trusted household name to the millions of New England residents who are fascinated with sports. 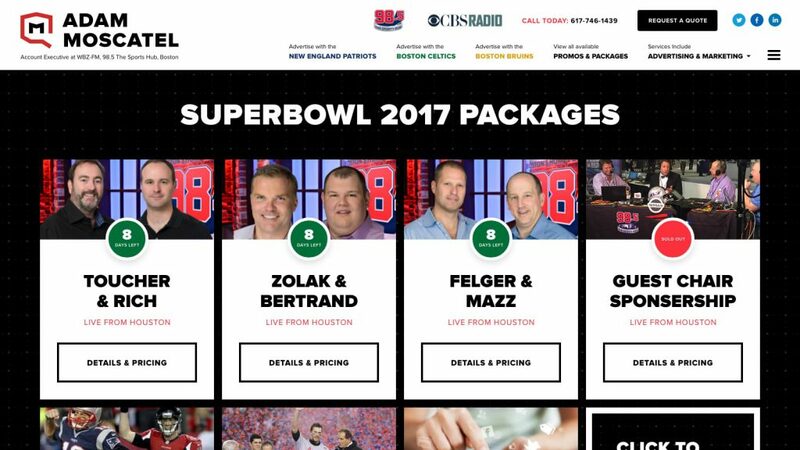 98.5 The Sports Hub is much more than a radio station. We reach nearly one million New Englanders every week. 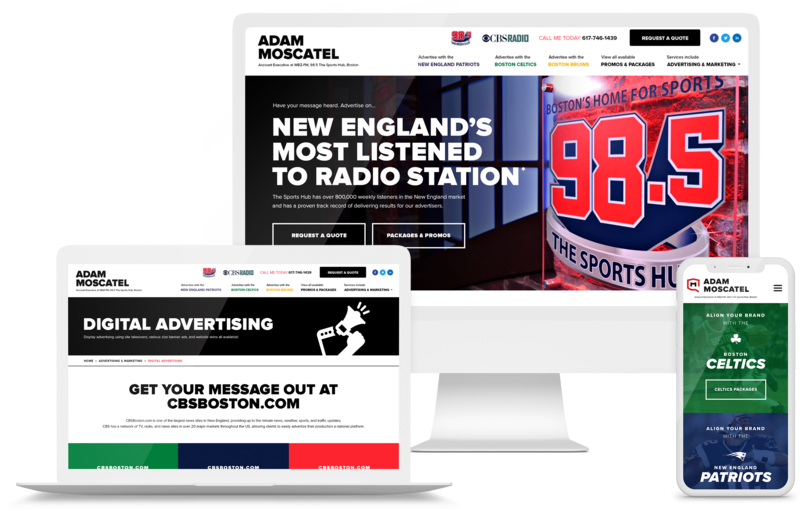 When 98.5 The Sports Hub of Boston gets in touch and starts evaluating different web agencies to work with, you know that you have to offer a solution that is going to give them results and not just a pretty looking site, but something that converts. 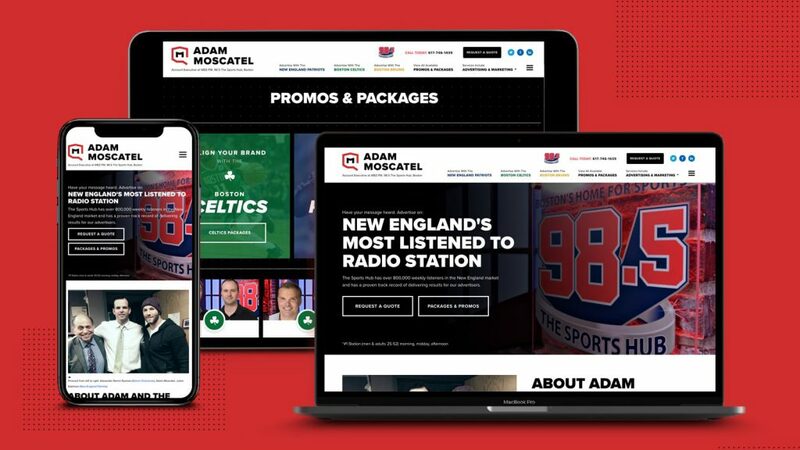 Working directly with Adam from the Sports Hub, we were able to work through a property discovery & planning phase, then move into the design/interface phase to come up with a clean and mobile first friendly layout. Creating packages for businesses to engage with and simple call to action next steps to get in touch. 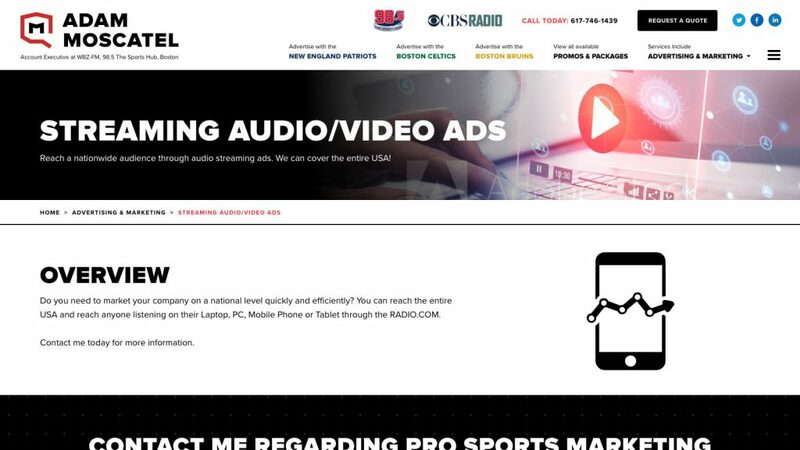 This website is built in a fully bootstrap friendly grid for optimal mobile performance along with a WordPress back-end CMS system for easy administration and updating. Want to take a next step in grabbing a quote from us or learning how we can deliver on your website, digital marketing, web app, branding or digital growth needs?